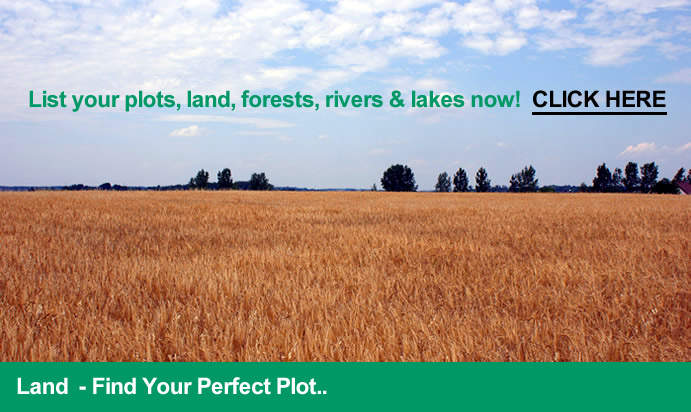 Suitability: Is the plot of land you are about to buy suitable for what you intend on using it for? If self-building - is there mains electricity, gas and water available to connect to nearby? Is there good access? Is it close to a potential future housing estate earmarked by the local council? Is there good drainage? Look at the location and check out all these variables to ensure your purchase will be a good one. If you are buying for agricultural rental have you checked the competition in the area? How much rent do you need to make a good return? Is permission required to rent out for the activities you intend? Do you need to erect any buildings or remove current unsafe ones prior to proceeding? Around The Local Area: Often, land not originally intended for use as a self-build plot of land or a building plot may be unsuitable in other ways and this is often reflected in price. It is worth checking what these are such as a brownfield commercial site with residential planning permission could be great for a development, but next to industrial units working 24 hours with heavy equipment. A stunning plot of potential residential land may have water/gas/electricity on site, but right next to a motorway or busy road. Features: Make sure you give a good description of the amenities so buyers are aware to save endless wasted enquiries. It is important to list as much as you know about the land. Is the permission granted for boating or related activities? How large is the lake/long is the river/frontage or large is the entire plot? Is it close to a town/beach/river? Is there mature trees and shrubs surrounding it? Is there a stream or a lake? Potential: Highlight the potential for the proposed development, include plans if you have detailed planning permission or outline planning permission to give the potential buyer an idea of what potential the land or plot has. Include information like the size of the plot, local area, square footage, mains/electricity/gas available etc), condition, any buildings and the footing. Photos: Add as many photos and plans (building plans with dates) as you can to provide as much insight into the property as possible.